Adam is a clean energy innovation expert, media presenter, and entrepreneur. 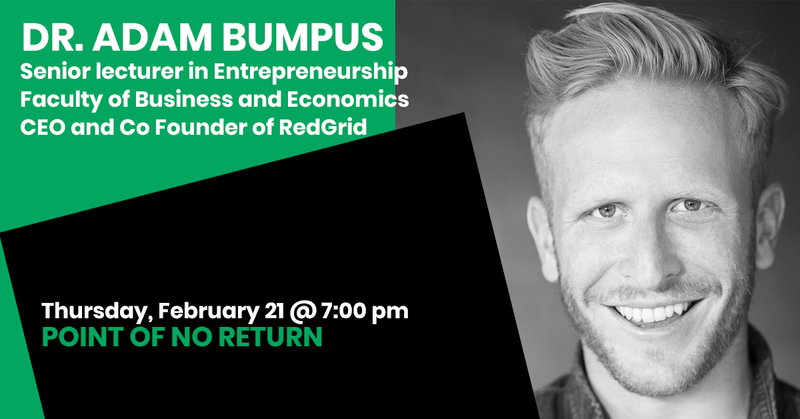 Adam is the CEO of RedGrid – a blockchain company implementing the ‘the internet of energy’ which will foster the next generation of the human elemental experience, and a Senior Research Fellow at Melbourne University. Over the last 15 years Adam has been a mentor to startups, advisor to corporate leaders in innovation, consulted for the UN and World Bank on climate innovation, and has been involved in three climate and energy startup enterprises. He has sat on the board of Climate-KIC Australia, he is an Executive Member of the Melbourne Energy Institute, and Australian Research Council Fellow on clean energy entrepreneurship. He is a regular on Channel 10’s The Project and has co-hosted Catalyst on the ABC with Professor Tim Flannery. He is also a voiceover artist, helping promote clean energy technologies, and on occasion, impersonating Zayn Mallik on the Hamish and Andy show.